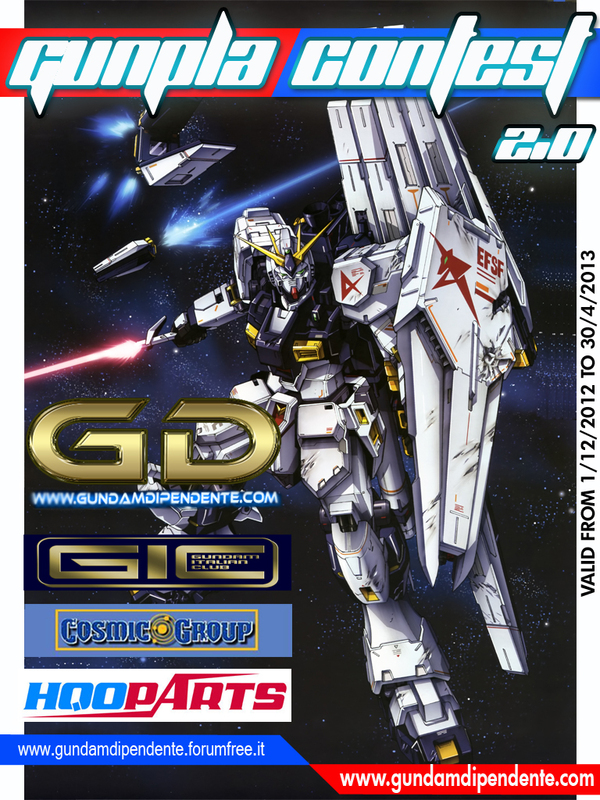 Recently, I am got to know Mr Antonio Scasserra, who manage the Italian blog, Gundamdipendent which provides their local community with Gunpla-related news, galleries etc. A very passionate and really friendly fellow! Well, this blog is into their second year and they are kicking it off with the second Gunpla Contest. Well, I think it's a good idea if people can participate in online competitions for the exposure. I used to enter a few of these competitions and made a lot of friends locally and abroad. It is very enriching. Hence, I always encourage everyone to be active in forums, share works, tips and participate. Well, here are the information to the contest, gunpla-contest-20-by-gundamdipendente.